As an English major who is regrettably not very familiar with Homer’s epics, I was a little worried when I saw that Alice Oswald’s Memorial: An Excavation of the Iliad was listed as assigned reading for my Writing Feminisms tutorial this term. Would I be able to wade through sea of references I didn’t understand and still take away something meaningful from this poem? Should I read The Iliad first? Would my fuzzy memory of reading it during my sophomore year of high school suffice? Answers: Yes, maybe, and yes again. The true correct answer to the first question is yes, having a thorough understanding of Homer’s epic would probably deepen one’s reading experience with Oswald’s Memorial. However, rereading The Iliad was not in my future considering I was also assigned nine other books to read during my five-week winter break. So I did what any other college student would do when strapped for time: I googled a summary of The Iliad, skimmed it, and then proceeded onward with my assigned reading. For someone who is only studying this book for a brief week during the actual term and does not even need to write an essay on it, I would hazard a guess that this vague understanding is sufficient to at least take away something meaningful from reading Memorial. With that being said, Memorial is a fascinating, touching, thought-provoking, beautifully written poem whether or not you are familiar with the original text it’s based on. I really appreciate the experimental and creative nature of this text, from the list of hundreds of names of those who died in the beginning of the poem as well as the constant repetition of whole stanzas throughout. Oswald presents a different side of warfare that is deeply personal and intimate, humanizing those who died in the brief stories of their last moments alive. 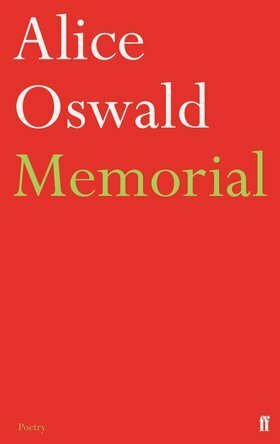 In the introduction to the poem, Oswald writes that “this is a translation of the Iliad’s atmosphere, not its story” and I know no better way to describe Memorial. Overall, there are countless topics I could discuss in relation to this poem– its treatment of women, its relation with how we view those who died in 9/11, its relation to the original Homeric text, etc.— but for now I think I’ll leave it here and simply say: READ MEMORIAL. Whether or not poetry is usually your go-to genre, I believe that there is a little something for all readers in this brilliant text. What are your thoughts on Memorial? What other poetry would you recommend? Let me know in the comments section below!